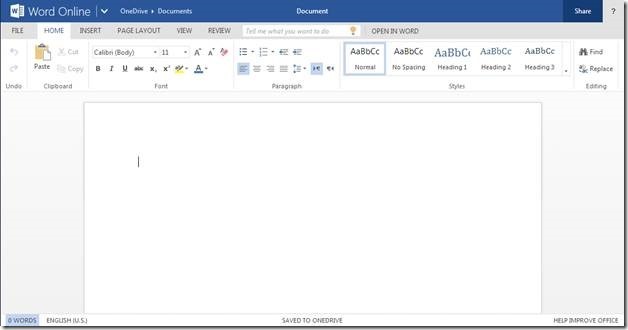 You may have heard the rumors, but Microsoft officially announced today on the Office Blogs that their previously-named Office Web Apps — an online version of the popular Microsoft Office programs — have been renamed as Office Online. 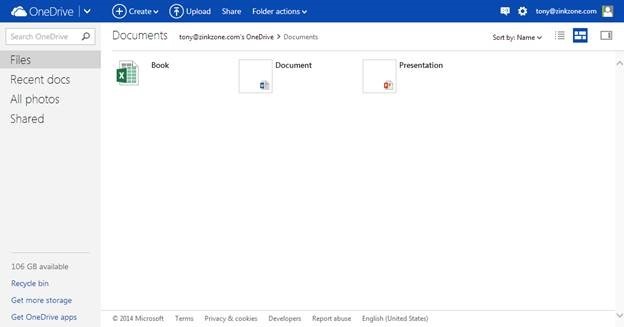 When you visit the Office.com web site, you are now greeted with a clean-looking request to try out the new Office Online products — Word Online, OneNote Online, PowerPoint Online, and Excel Online — as well as the some of the other existing products such as Outlook.com for e-mail and OneDrive (recently rebranded SkyDrive). 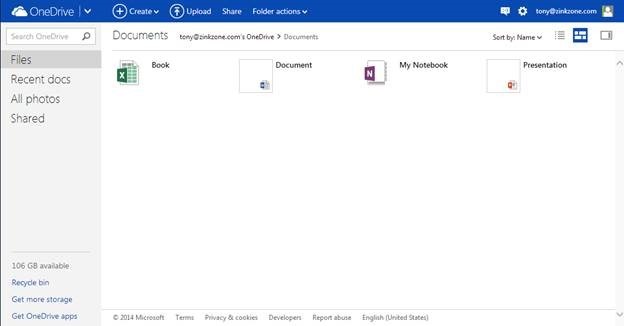 If you are already signed in with a Microsoft-recognized account, then clicking each of the colorful tiles in the middle of the page takes you to each of the respective tools to quickly get started. 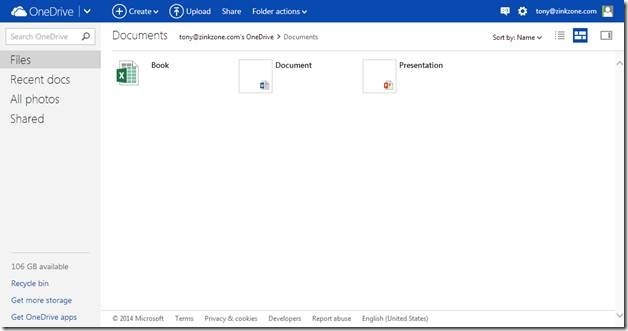 Clicking the Word Online tile on the Office home page displays options for starting a new document. Clicking the ‘New blank document’ icon launches Word Online and displays a blank document for you, and the experience is very similar to traditional Microsoft Word on the desktop. 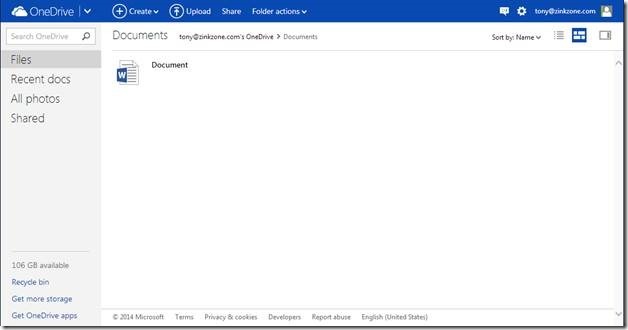 The document it is automatically stored in your OneDrive account. 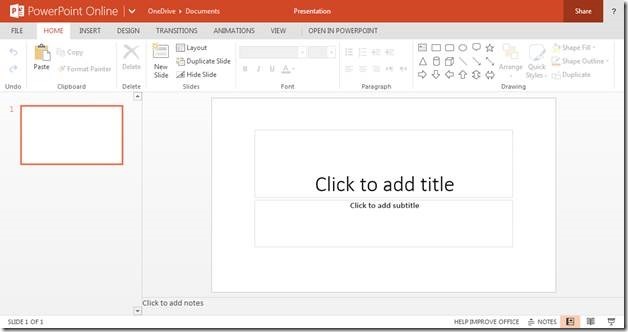 Clicking the PowerPoint Online tile on the Office home page displays options for starting a new presentation. 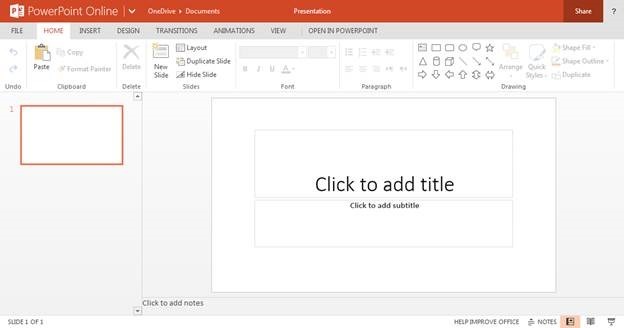 Clicking the ‘New blank presentation’ icon launches PowerPoint Online and displays a blank presentation for you, and the experience is very similar to traditional Microsoft PowerPoint on the desktop. 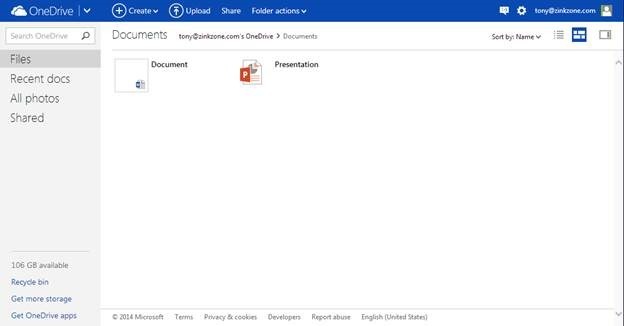 The presentation it is automatically stored in your OneDrive account. 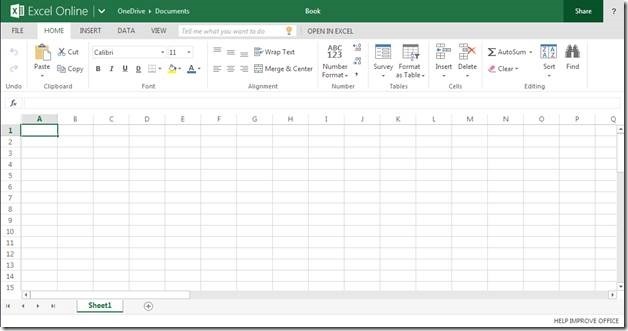 Clicking the Excel Online tile on the Office home page displays options for starting a new workbook. 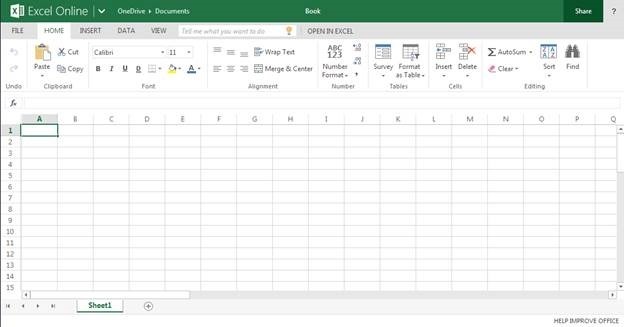 Clicking the ‘New blank workbook’ icon launches Excel Online and displays a blank workbook for you, and the experience is very similar to traditional Microsoft Excel on the desktop. 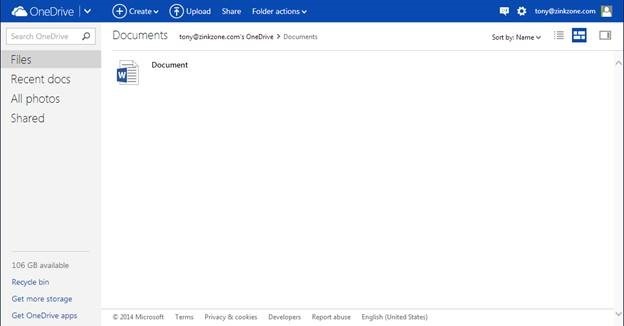 The workbook it is automatically stored in your OneDrive account. 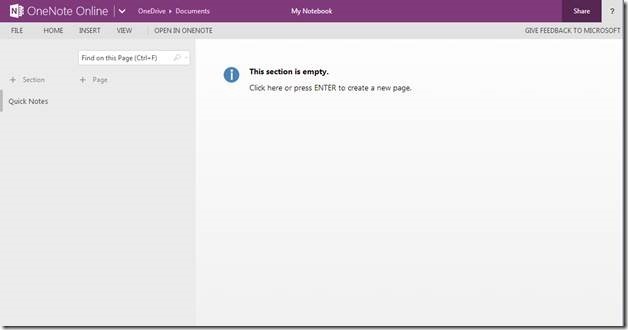 Clicking the OneNote Online tile on the Office home page launches OneNote Online and displays a new notebook for you, and although the experience is a bit different from traditional Microsoft OneNote on the desktop, the concepts are similar. 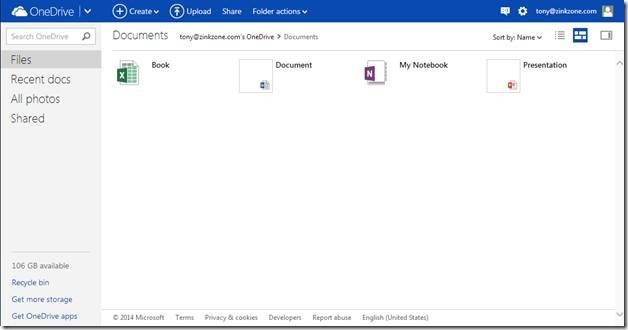 The notebook it is automatically stored in your OneDrive account. 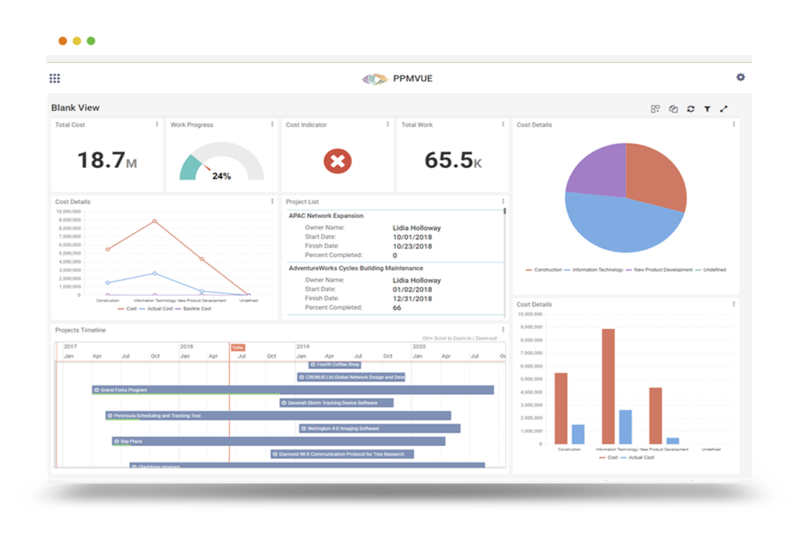 It will definitely be interesting to see how people adopt and adapt to this online version of Microsoft Office as mobile internet access becomes more ubiquitous, yet people still expect certain functionality from their desktops and corporate security folks find varying levels of comfort with their personnel working in the cloud. 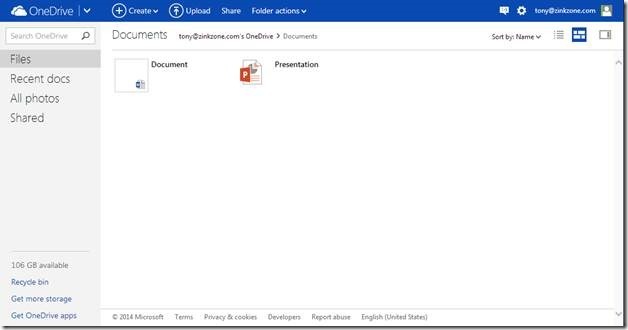 Also, will we see a web-based version of Project appear in Office Online anytime soon…?